An archive page is used to display list of posts in an organized manner. This allow website visitors to browse previous posts in a quick and easy manner. Posts are listed in year-wise and further in month-wise format. 2. Type the title say ‘Archive’. 3. 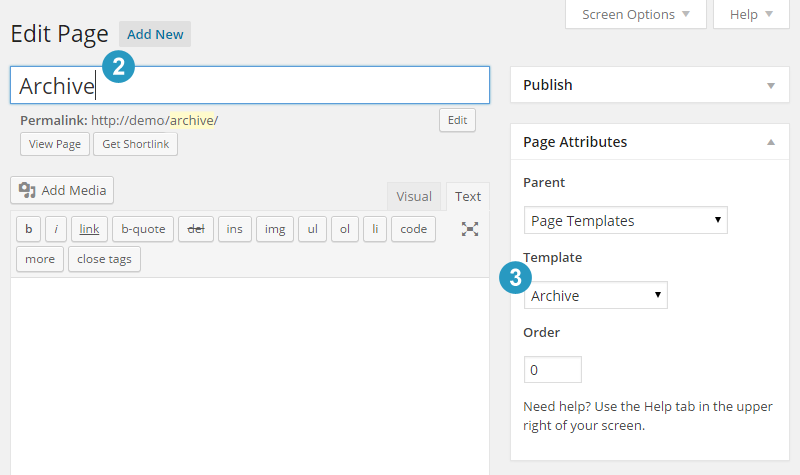 Select the Archive template from the drop down box under ‘Page Attributes’ section on the right side. 4. Click the Publish button and your archive page is now ready.